I was invited to attend an event (9 April 2019) at the European Parliament organised by the European Social Network (ESN) to discuss ‘Promoting Quality Social Services with the European Social Fund Plus (ESF+)’. The ESN has over 125 member organisations in 33 European countries and supports the sharing of knowledge, practice and policies between social services across Europe. The event was hosted by Sofia Ribeiro, a Portuguese MEP and member of the Employment and Social Affairs Committee in the European Parliament. The focus was on how the ESF+, amounting to 120 million euros in the coming period, could be put to best use to support the work of social services across Europe. Even though there are UK members of ESN none were present at the meeting. Sofia Ribeiro opened the event by explaining how this was part of the dialogue between social service agencies and MEPs to find ways of using the fund to best effect and turning good intentions into concrete measures. She invited Veronica Lope Fontagne, a Spanish MEP and also a member of the Employment and Social Affairs Committee, to explain the preparation and aspirations for ESF+. Veronica Lope Fontagne stressed the need for the EU to focus on all citizens whom she described as the ‘cornerstone of the EU’. She described the two aims of the fund, each of equal importance and the first designed to support the second. One aim was to increase accessibility to funding to achieve change and to do so by simplifying processes involved in applications while increasing the synergy between different EU funding streams. The second was to support the responses made to the economic crisis in the first decade of this millennium which had put many people at risk and resulted in increased level of alienation. Alfonso Lara Montero, Chief Executive of ESN outlined the benefits that had resulted from earlier ESF and the projects that had helped families, children and young people. Pavel Caslava, Ethics Committee Chairman, Association of Social Care Providers in the Czech Republic. They all provided examples of how the funds had been used to good effect in their own areas and expressed their appreciation of the ESF. The benefits were said to far outweigh the bureaucracy that surrounded the funds, but they identified the need to simplify the application process including allowing ESF+ to be used in conjunction with other EU finds to be able to increase overall efficiency. Brando Benifei and Sofia Ribeiro both reflected on what had been heard. They said they took away the very positive achievements that had been outlined, as well as the messages for what needed to happen in the future. Not just because Brexit discussions were going on elsewhere in the Parliament building, I did feel like an outsider, however welcome I was made to feel. The discussions mean our future participation in ESF+ is unknown (April 2019) and the absence of UK’s experiences did not go unnoticed by fellow participants when so much had been achieved here by using ESF. 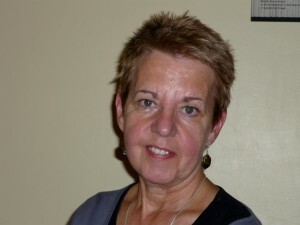 Mary Baginsky is Senior Research Fellow at the NIHR Health & Social Care Workforce Research Unit at King’s College London. This entry was posted in International, Law / policy and tagged Mary Baginsky by Stephen Martineau. Bookmark the permalink.